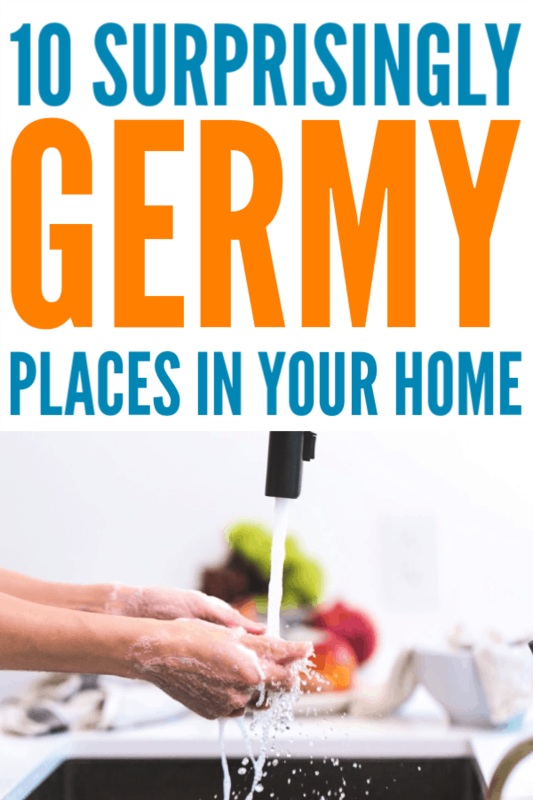 Don’t feel bad if this list of 10 germy places in your home contains a few surprises for you. So I started thumbing through the literature, expecting to feel smug about what I great job I’m already doing. Boy, was I in for a surprise. Chances are, you’re overlooking these ten germy places in your home, too! What I hadn’t thought about: how nasty the sponge-end on the dish-washing wand gets! Since it’s plastic, it can’t be nuked. The solution: always rinse it well after then pour straight white vinegar on it to kill germs and let it air dry. You still need to replace it every couple of weeks, though. We all know to replace our dish towels at least once a day, but did you know that they still harbor bacteria if not washed in hot water? Now, think of all the times you’ve tossed them into a cold cycle with your bathroom towels or other clothes then used them later to dry your dishes. Ew, right? Also, keep separate kitchen towels for drying dishes and drying hands. People aren’t good at washing their hands, and you don’t want those germs on your dishware. 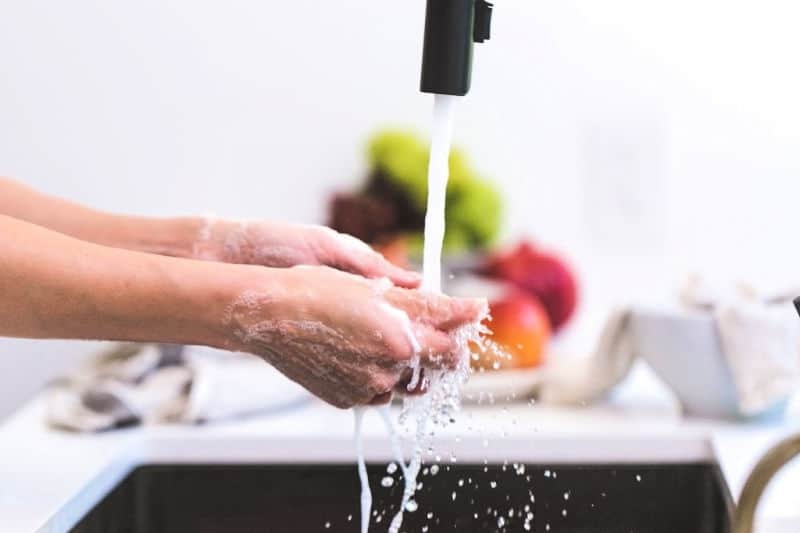 According to a 2008 study by the Hygiene Council, there’s not much difference in the bacteria on kitchen and bathroom faucets. They’re both filthy! Think your hands-free faucet is cleaner? Think again. Even more disgusting: according to the same study, the kitchen sink (you know, where you drop food sometimes while you’re rinsing it) has 100,000 times more bacteria than the one in the bathroom. Yes, your phone’s touchscreen is disgusting, but that’s not the only one harboring germs. Think about how often you touch the cupboard, drawer, refrigerator, microwave or oven handles while cooking. 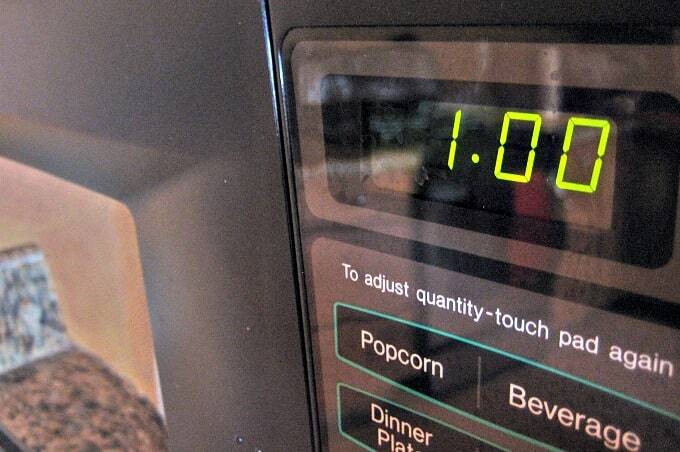 And don’t forget that microwave touchscreen! Clean them with disinfecting wipes at least once a day, more often when you’re cooking raw chicken or eggs. I used to think the claims of how filthy remotes get was all hype. Then I watched my son pet the cat, sneeze, wipe his nose, shovel popcorn into his mouth and then go back to playing his PlayStation 3 game. No wonder most TV remotes test positive for the cold virus along with e. Coli. Clean them with a disinfecting cloth, using a soft-bristled toothbrush to dislodge debris before giving them another wipe. 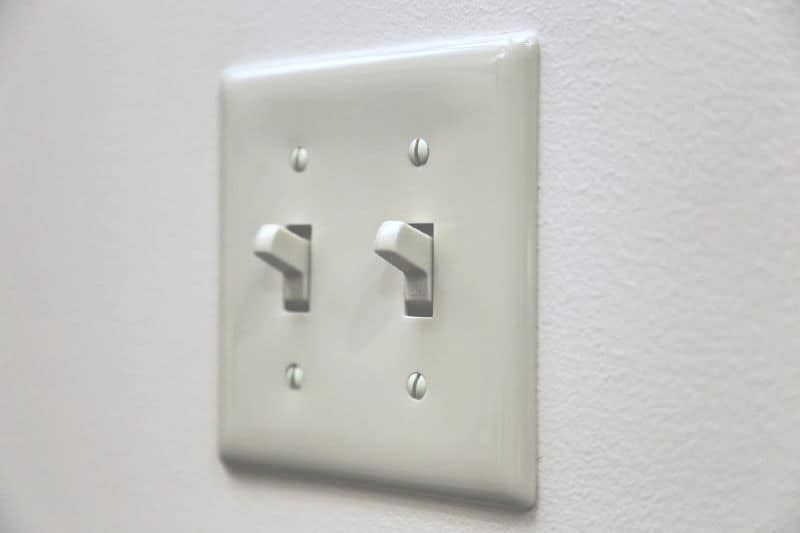 Just about everyone in your house touches these throughout the day, often right after they come home from germ-infested places like the grocery store or school. Wipe them at least once a week with a disinfecting cloth — daily, if someone in your house has a cold. We all enjoy a nice, long shower after working hard in the garden, or a good hot soak in the tub at the end of a challenging day. Now, think about all the dead skin cells, bacteria and other things coming from our bodies and splattering or sticking to those surfaces. Gross, right? No wonder the average bathtub is even dirtier than a trash can! Clean your bathroom weekly, and every two weeks run the shower curtain through your washing machine’s gentle cycle using hot water, soap and 2 cups of white vinegar. 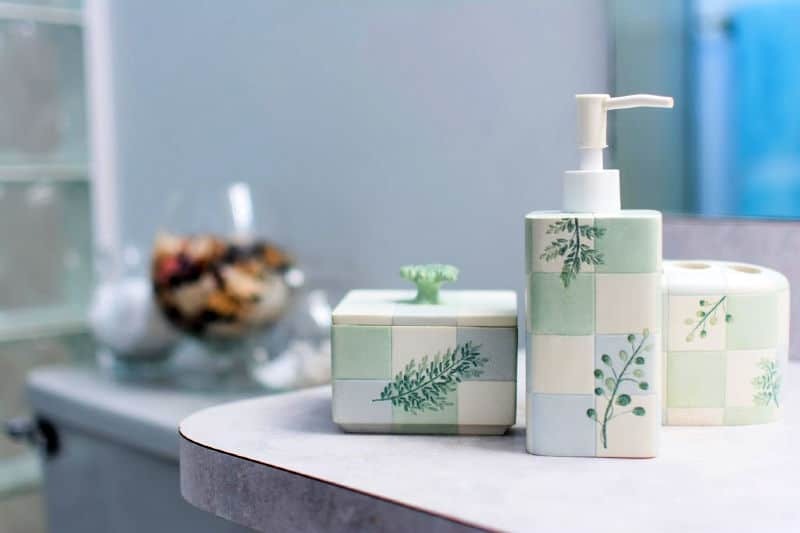 Keep germs at bay by using a daily shower spray on the shower walls, tub, and curtain, too. Your washing machine is a bathtub for your dirty clothes and, like a bathtub, it collects dirt, grime, and bacteria. If you don’t use hot water to clean your whites, towels, and underwear, you’re also transferring that stuff to your dryer, and it’s probably full of e. Coli, too. Clean your washing machine and your clothes dryer at least once a month — more often if your children are still potty-training or you have someone in your house who is immuno-compromised. I’m not just talking about the toilet, either. Every time the toilet flushes, water droplets fly into the air. When someone in your home has a stomach virus, that flush can spread illness-inducing germs up to 10 inches above the toilet. Those germs can be detected in the air as long as 90 minutes! So, next time you’re cleaning your bathroom, pay attention to the walls around and behind the toilet. Don’t forget to wipe down the toilet roll holder, too! And follow these tips to keep the stomach flu from spreading. I would never have guessed this one but it makes sense. Vacuums don’t just pick up dust (which, as we all know, consists mainly of dead skin cells) and pet hair. We use them to clean up food crumbs, too. As a result, their brushes, hoses, belts, and bags are great breeding grounds for all sorts of nasty things which, unless you have a HEPA filter on the vacuum exhaust, get spewed back into the air the next time you use the thing. Keep your vacuum cleaner clean and be sure to change the bags or empty the bin often. If your model permits it, wash the dust bin, hoses, and attachments every couple of weeks, too. Do these 10 germy places in your home have you feeling queasy? Then don’t even think about how yucky your credit cards and wallet are. No, seriously, one of the pamphlets from the doctor instructed me to use an antibacterial wipe to clean credit and debit cards weekly, along with the interior of the dollar bill area in my husband’s wallet! Who’d have thought? Note: This post first appeared in September 2012. It has been updated. oh gosh, I hardly ever even think about #8 and #10 … I run the cleaning cycle with one of those Afresh bars in the washer every few months but I never really thought the amount of germs that end up in there! I remember reading somewhere that washing machines can get as dirty as toilets, especially with so many of us using cold wash/rinse to save money. Yuck, right? the chemo process is never fun – hand sanitizer to the rescue! I hope it goes well, keep us updated! And thanks for the tips… as I head into the kitchen to deal with my sponge. No, chemo and radiation are awful, but if they’ll save his life they’re worth it! And, I hear ya on the hand sanitizer: I’ve whipped up several batches of it, and have bottles all over the house. I do (or, rather, did) the same thing until reading about that. Yuck! LOL. I can’t tell you how many times I watched my kids drop stuff on the floor then pick it up and eat it anyway. Fortunately, kids somehow survive such things. If your kitties go outside at all, then the litter pan, if you have one, is a big sink hole for nasties. If they are indoor only, not so bad. But my docs were pretty adamant about not getting anywhere near the box during treatment and until after I had built back up some WBC’s… The main worry is toxoplasmosis. Absolutely. Although ours are purely indoor cats whose litter box is in our laundry room (for lack of a better place, unfortunately), they still track litter like crazy. I wind up scooping the box daily, dumping and scrubbing it weekly, sweeping up litter at least once a day and spraying the floor with a homemade disinfectant, then mopping it thoroughly at least once a week. That’s a lot of work just to have two snuggly creatures to curl up with at night, but my son would be heartbroken if I found them new homes.